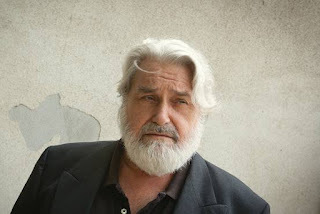 I didn’t mention Emitt Rhodes in my book, though he’s on my extended 1971 playlist. 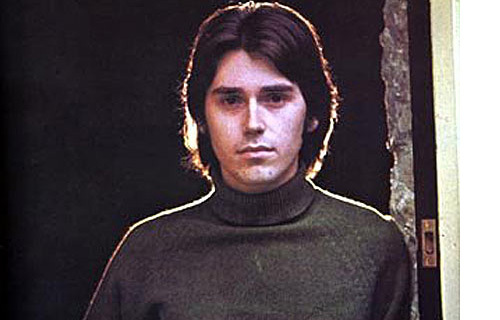 Rhodes was one of those people who was being lined up as a Beatles substitute in 1971. He could write good tunes, he played all the instruments on his albums himself and - bonus ball - he was pretty. His albums attracted support from everybody except the record-buying public and he was locked into a contract that required him to deliver two albums a year, which was hard enough for your standard road-hardened band but was nigh on impossible for an artist who had to over-dub every part himself. He withdrew from making his own albums in the early seventies. Now he’s back, with a rather good record called Rainbow Ends. Whereas the early records glistened with the optimism of youth, his new one starts with a song about a woman who takes the car, the house and the kids. It’s called “Dog On A Chain”. With that title, it suggests he might have gone "country". The photo suggests it too. Does it sound like a platter that Whispering Bob might spin? I love the album but I must say he sounds very bitter. About half the songs are about how badly treated he's been by a woman - or several women, who knows? Was he any more optimistic and positive back in the 70s? 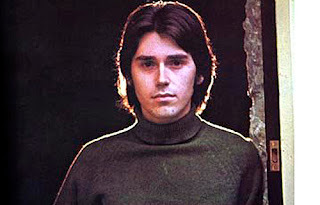 I love 'Emitt Rhodes", his second album (I later found out) and the only one I have. Bought it when it came out, played it incessantly, but for years I was the only person I knew who had heard of him. Glad to hear he's still around. I shall investigate the new one.